So, the Winter Olympics . . . Hard to believe four years have gone by so fast. Living in Arizona, I don't really get a chance to revel in the snowy weather, and feel all happy and cheery with a belly full of mead. 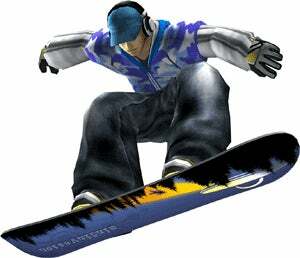 BUT IF THERE'S SOMETHING I LOVE ABOUT THESE THINGS, IT'S SNOWBOARDING. Boy, do I love snowboarding. It's been . . . years since I've done that stuff, though. Which is why sometimes, I wish there were more games like 1080 Avalanche . . .
Ah, the good days . . . Back when Linkin Park and Slipknot were cool. But alas, I have been disappointed. Oh well. Anyways, no more of TUT's ramblings. Any events in particular you guys are looking forward to this time around? Does Russia being quirky count as a sport? What about mayonnaise?